Soccer fields are popping up all over Atlanta, all at transit stations. And it makes perfect sense. The city’s MARTA stations need a lot of space and the land directly adjacent to–and sometimes underneath–platforms largely went unused. They tried building an amphitheater at one in the 1970s but it never attracted performances or people. 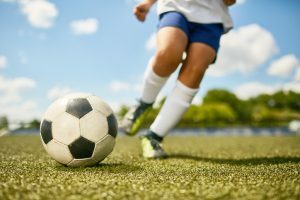 So a local nonprofit that combines soccer with mentoring and employment programs floated the idea of a slightly smaller-than-regulation soccer field, which would let families use mass transportation to get to practices and games and use that land in a way that benefits the community. The first was built in 2016, another opened earlier this year, one’s under construction now, and seven more are planned for the next three years. The land is being used, families love the new fields, and the hope that people would use the trains to get there has come to fruition. Read about the project here. To learn more about Soccer in the Streets, the nonprofit behind the effort, click here.